The new Fall 2006 Paperbag Studios Rubber Art Stamps are available. Visit Paperbag Studios to view all the images as well as a gallery full of ideas. The sample above was created by Celine Navarro. 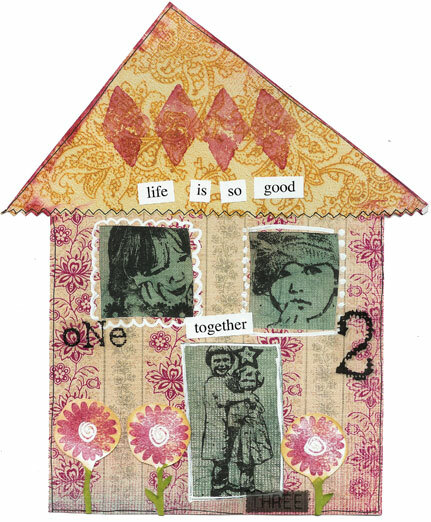 She used the new Dreamer, Lily & Zoe, Tiny Daisy and Dress-Up stamps.